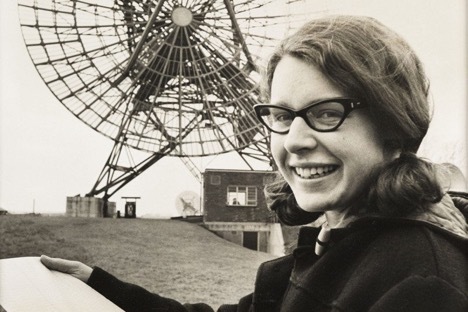 On this day in history, August 6, 1967, Jocelyn Bell Burnell noticed a bit of “scruff” on the chart paper she was analyzing as part of her PhD research in radio astronomy at the University of Cambridge. Bell and her advisor, Antony Hewish, had designed and built a telescope meant to conduct observations of quasars using a technique called interplanetary scintillation. 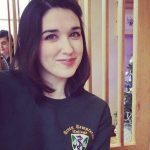 Shortly after the telescope was set up, Bell noticed a signal coming in with regularity from the same part of the sky—a flash occurring every 1.33730 seconds. The new source was dubbed “LGM-1”, which stood for “Little Green Men”, a joke between Hewish and Bell. Shortly after, Bell observed another signal (1.2 seconds apart), coming from another area of the sky. 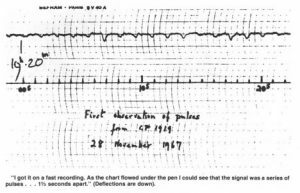 Data from Bell Burnell’s discovery of Pulsars. When Bell and Hewish announced their discovery in Nature the following February, it set off a race to find more of these strange signals, and to figure out what was causing them. The signals are now recognized as a well-researched astronomical phenomena – Pulsars. Pulsars are highly-magnetized, rapidly-rotating neutron stars. The beams of electromagnetic radiation they emit produce flashes at precise intervals which can be observed from Earth using radio telescopes. In 1974, Bell Burnell’s advisor was awarded the Nobel Prize for the discovery of pulsars. In 1995, Jocelyn Bell Burnell was the speaker for the 30th Jansky Lecture- a prestigious annual lecture hosted by the National Radio Astronomy Observatory. NRAO Jansky Lecture, October 31, 1995 from NRAO Outreach on Vimeo.